Rough bugleweed (Lycopus lucidus) belongs to the Lamiaceae (the Mint family). 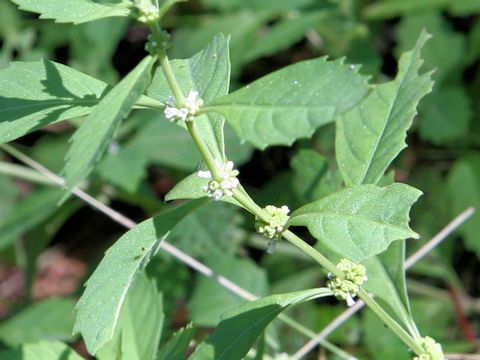 It is a perennial herb that is distributed to Japan, Southeast Asia and North America. 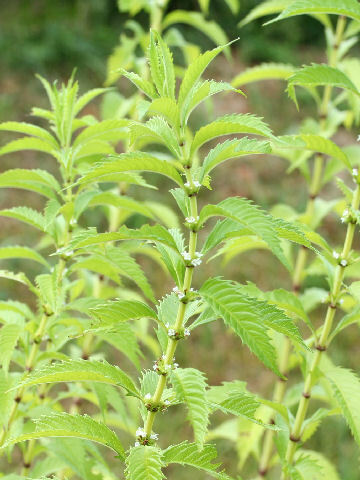 Thsi herb grows in marshes and can reach about 1 m in height. 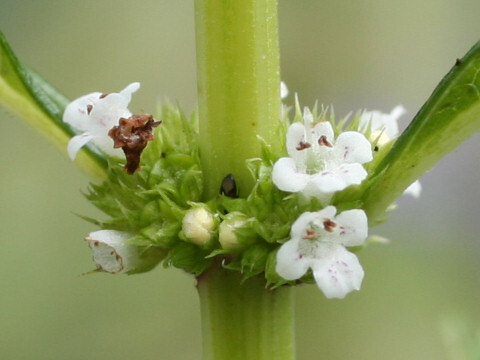 The stems are erect, thick and quadrangular. 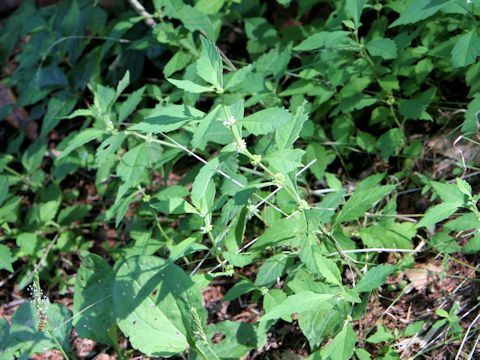 The leaves are narrow oblong, arranged in opposite with acute serrated edges. 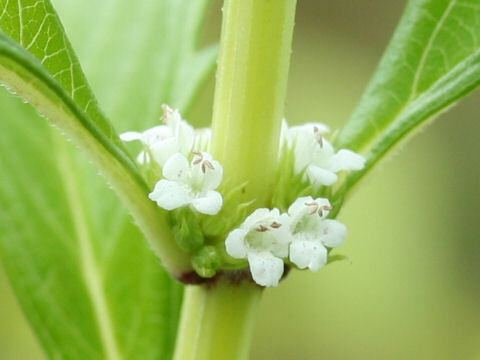 The small white flowers bloom densely at the axils from July to October. 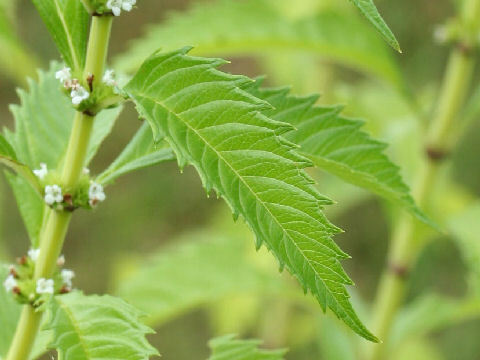 The Japanese name is derived by its white thick rootstock.